Judith Pella and Tracie Peterson present Book 2 in the Ribbons of Steel series. 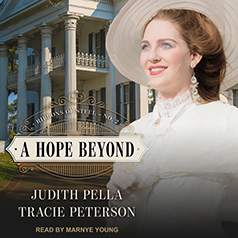 With the loss of her first true love, Carolina Adams finds life at the family plantation nearly unbearable. Desperate to escape, she moves to Baltimore to become a nanny to Victoria, a little girl whose mother has died. After breaking his wedding engagement with Virginia Adams, Carolina's older sister, James Baldwin immerses himself in work for the B&O Railroad, the other passion in his life besides Carolina. But when a shocking business proposal is given to Carolina, James and Carolina seem destined to be apart. Can they dare to dream their aspirations for love might come true?